There is no easy or right way to tell you this, so we will lay it out all on the line. A specialty vehicle can expand your services, generate awareness and directly impact people's lives in your community. We live in an age where brick and mortar facilities just might not cut it anymore. Companies and organizations have to adapt to the changing times and recognize that the world is always expanding and so should you. If your company, organization or agency is in the market or may be just looking for a mobile unit, some may tell you it will be a bumpy road ahead of you. That road does not have to be so bumpy if you do your homework and go at it with a step by step process. For more help with that at the end of this blog learn the "7 Steps to Purchasing Specialty Vehicles or Mobile Solutions." As we approach 2015 and the beginning of a new year this may be the time that you visit the idea of adding a mobile unit to your services. Besides the big question of HOW do we go about getting a specialty vehicle another question that may arise is WHY should we? It was not too long ago that a fixed facility was the only viable option to house your organization and your services that is not the case anymore. Industries must accommodate to their customers and must be the ones reaching out to them. Just as in any type of industry the customer wants to feel valued and appreciated. At the same time the organization wants to expand their services, generate awareness of their brand and impact the people of the community. In the eyes of the consumer, the typical response in regards to, what makes you most satisfied with your services? The answer maybe just as easy as; fast, reliable and accommodating. When we asked some questions to a variety of different industries on why they may want a specialty vehicle and what is the overall goal with obtaining one, it was surprising to see most of the answers matching up. Why are you looking into a mobile unit? 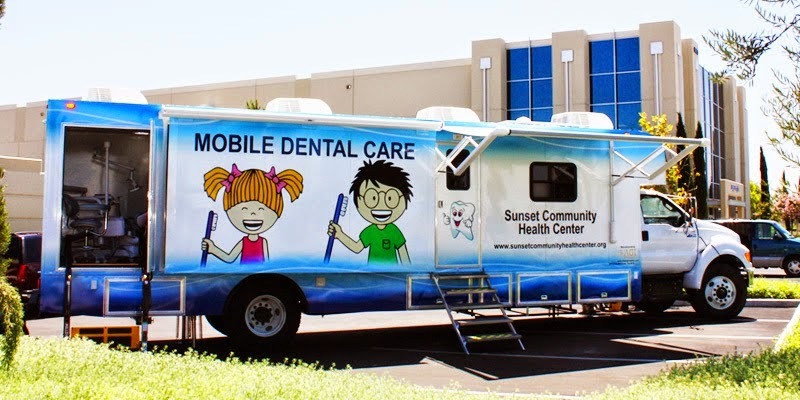 "We are looking into creative solutions to bridge the gap between opportunity and access to care for patients who are in need of oral health care"
What is your goal with a mobile unit? "We want to provide care to patients in the city area without accessibility to dental care." What is your long term objective? "Create partnerships within the city with other organizations to provide accessibility for patient care and student practice"
"We want to increase and expand our services to reach those in need and create hope among our community." "To increase our service level and provide services throughout the year to hard to reach areas while creating and providing health care, encouragement, trust, hope and relationships." "Expand our service area for the Riverside County to alleviate the hardships of those who have to travel to our facility." As we are currently not to the era where we can provide services through digital forms or instant transportation, we are definitely seeing some amazing features and integrations into specialty vehicles and what they can do for your services and the community. Having the perfect mobile unit for your industry is the most important thing. The last thing you would want is not to be satisfied with your purchase So lets make sure that you are on the right track and take you each step of the way. Aleph Group Inc.